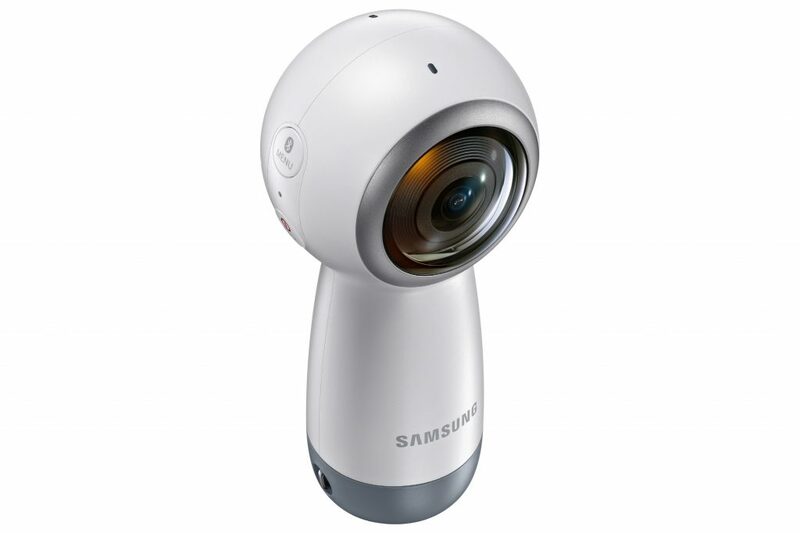 Back in March, Samsung announced the successor to its popular Gear 360 action camera. The GoPro competitor won many fans with its ability to record video in 360 degrees via two fisheye lenses. The 2nd generation version promises more of the same, but with 4K video recording plus a smaller, lighter frame. Samsung has now released the device in the US and it's available for $229. The original Gear 360 was hamstrung somewhat by the fact that it could only be used in conjunction with a Samsung Galaxy phone, and this new model seems to carry mostly the same limitations. Curiously, the camera will be compatible with some iOS devices, but it still won't work with any other Android phones. The new companion app surfaced last month, for anyone who wants to download it in advance. It will allow you to operate the camera remotely, as well as edit and share the videos it creates. Samsung also brought attention to an interesting deal for Galaxy S8 and S8+ owners. Anyone who purchased either phone between May 25 and June 19 will be able to grab a new Gear 360 for a special price of $49. Considering the list price of $229, that's an impressive $180 saving. It will be a limited time offer while stocks last so you'll need to get in quick. As of today, you'll be able to pick up the Gear 360 from the following stores and sites: Best Buy and BestBuy.com, Amazon.com, Adorama, B&H, AT&T, Sprint, T-Mobile, Verizon and U.S. Cellular, Samsung.com and through the ShopSamsung app.